Each package contains 12 felt front, plastic backed masks. Masks have attached ribbon ties that can be adjusted to any comfort level. Great for Mardi Gras, Halloween, and Costume parties. Meow!! 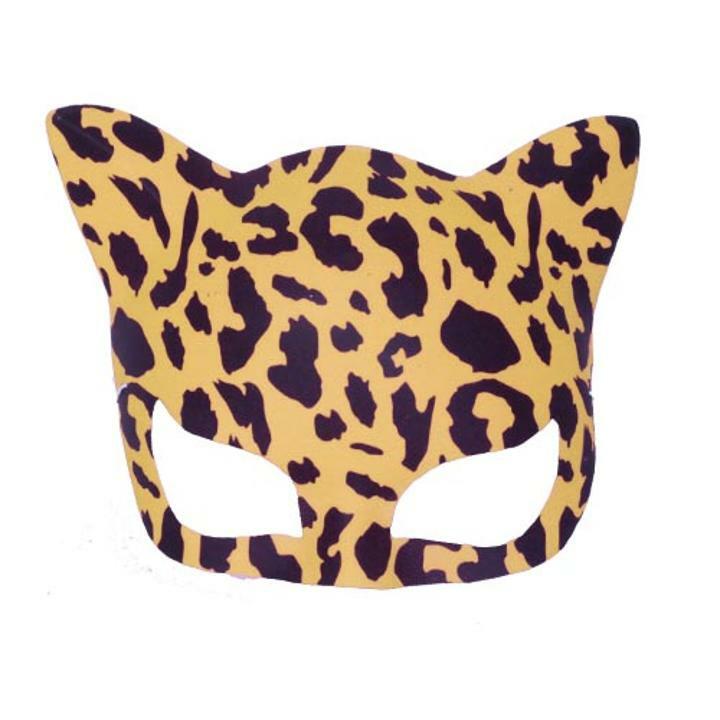 Orange Leopard cat masks are a playful way to dress up. These lightweight disposable printed mask have attached elastic for a comfortable custom fit. Perfect for Masquerades, New Years, Dance Parties, prom and of course productions of Cats. One size fits most. Each package contains 12 masks making this a great value! For a wilder look checkout our Animal print masks in tiger and cheetah. Our full selection of masks includes reusable and disposable half masks, feather masks and butterfly masks. See our full selection of costume and dress up products. L: 7.0 in. W: 5.5 in. H: 2.0 in.